TRANSFER Consultancy lead partner in Life+ project “The Green Deserts”. Transfer Consultancy is lead partner of a consortium that recently got approval by the European Commission for its LIFE + project application "The Green Deserts". 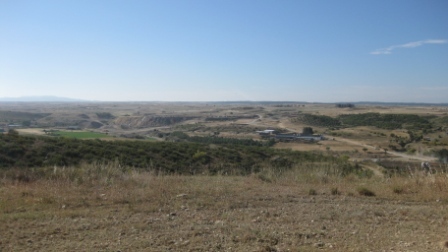 Within this ambitious project over 63 acres in five Spanish provinces (Valladolid, León, Zamora, Zaragoza and Barcelona) will be reforested. The project's main component is the investigation of an innovative technology that makes it possible to plant trees without irrigation: the Groasis Waterboxx. LIFE+ is a financial instrument of the European Union for supporting environmental and nature conservation projects within the EU. 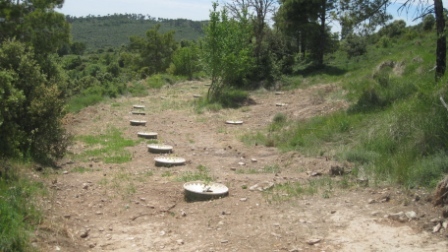 In September 2009, Transfer Consultancy applied for a Life+ grant in collaboration with seven partners from the Netherlands, Belgium and Spain for an innovative reforestation project in Spain. This application was approved in June and will start in September 2010. The total project is budgeted at €2 million, of which the European Commission contributes 50%. The common element of the areas is that they are all very dry and that currently there is currently little or no reforestation projects taking place. The reason is that the vast majority of plants die within one year. The ultimate goal of the project is 90% survival rate for new plantings after 5 years to achieve without any artificial irrigation. The implementation of the project will produce data to evaluate the suitability of the technology behind the Groasis Waterboxx in relation to the current problems of reforestation (need for continuous irrigation, low survival rate, high cost, etc.) and the effects of climate change in Spain. One of the partners, the University of Valladolid, will, based on a special control protocol, evaluate the results of the planting, survival and growth of trees in a scientifically sound manner. The project "The Green Desert" not only hopes to achieve an increase in the reforestation in Spain, but also wants an increase the creation of small businesses and local SMEs active in this field. This will contribute to the establishment and consolidation of a green economy and green jobs, one of the priorities of the Spanish Government. If you want to know more about "The Green Deserts" project or the Groasis Waterboxx, please contact us.